Creative craft cocktails have become a trendy staple at bars and clubs across the country and in the Rockford region that sentiment holds true. Start your adventure at a Real. Original. Rockford gem, Social Urban Bar & Restaurant, which has blown many visitor&apos;s mind, making them think they have been transported to Chicago, San Franciso or New York. Hint: Whiskey drinkers, try the Vieux Carre cocktail when you are trying this local hotspot. Not to be outdone, Octane, has been crafting the finest cocktails and unique recipes for years just a few blocks away from the historic Coronado Theatre. If whiskey is your game, venture over to the new Blue Line bar, just steps from the BMO Harris Bank Center, this has quickly become the go-to spot before and after IceHogs hockey games. For top-flight food with your drinks, make your way to Abreo, where the ever-changing menu puts the emphasis on locally sourced foods. Or, try your taste buds on some authentic pub grub at the Irish Rose Saloon. They do a great steak or bangers and mash. The mouth-watering restaurants don&apos;t end there. You can&apos;t go wrong with pizza from Woodfire Brick Oven Pizza or Capri Restaurant. The Asian tapas at Bamboo just might leave you speechless, or stop in at Kuma&apos;s for the Dolsot Bibimbap (you&apos;ll thank us later). At the start of the month, you check out the specials and live entertainment scattered throughout the downtown as part of the First Fridays events. And if you want to see who&apos;s performing at local clubs, bars and restaurants coming up? Visit our Calendar of Events to see what&apos;s going on this weekend! 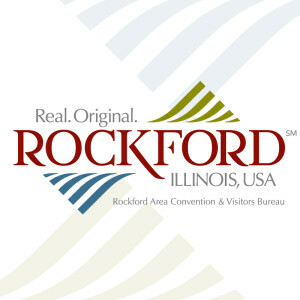 For more great places throughout the Rockford Region for a great night out on the town, check out the listings below!